Periodically on First Light, University of Illinois Extension educator Richard Hentschel and Brian O'Keefe discuss everything for Agri-business to backyard gardening. Over the next several weeks, Brian and Richard will take you to Chicago’s Navy Pier. The annual Chicago Flower and Garden show was at the pier this month, their first stop was the Extension’s insect petting zoo. 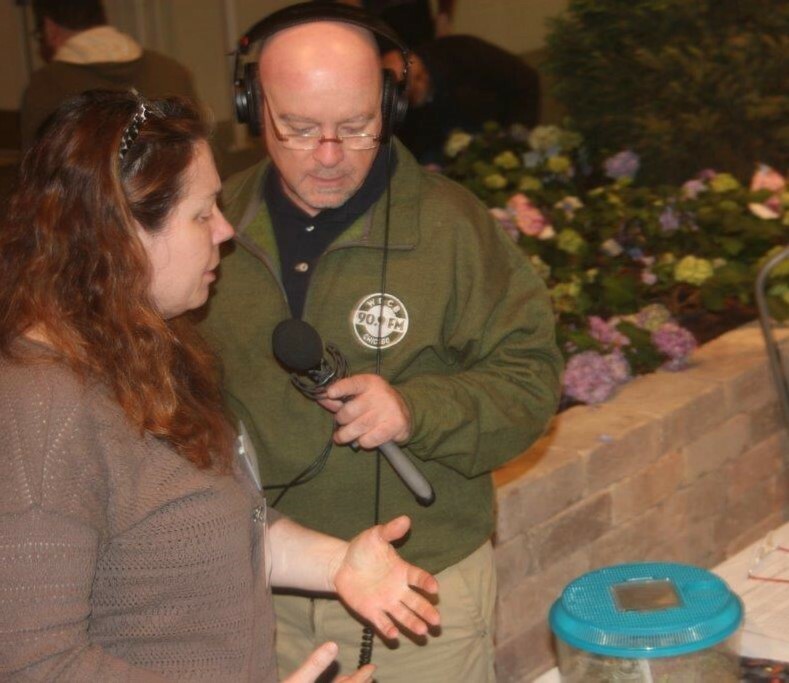 U of I Extension educator Nancy Zook explains the goal of the Extension's insect petting zoo while First Light host Brian O'Keefe keeps a safe distance from the giant hissing cockroaches.